Those whipsnakes like to periscope and look around. When I lived in Arizona I occassionally saw one watching the world from a rock pile or some prickly plant. 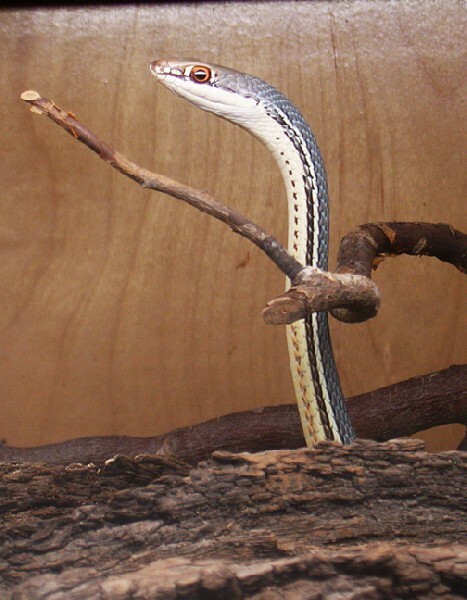 This is my captive Sonoran whipsnake checking things out from behind some bark in her cage. Really amazing animals.